Here is a quick preview of AfterShock Comics June 2018 Solicitations. Be on the lookout over the next few weeks for full previews to several of the exciting new comics featured below. 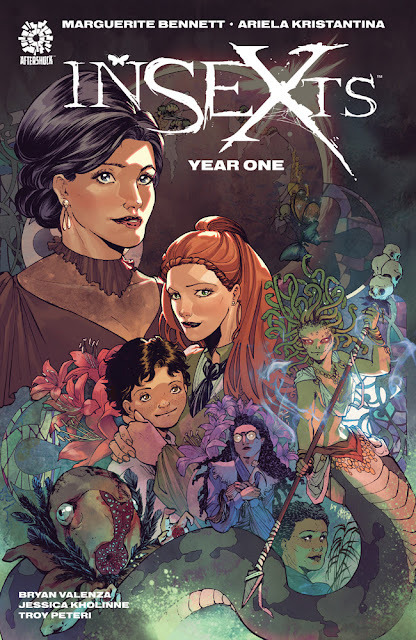 Collecting the complete second story arc from the hit AfterShock series, babyteeth! Crazy Warlock dudes, super-secret cabals, inter-dimensional portals, new assassins, and the horrors of airline travel with a (demonic hellspawn sent to destroy the universe) baby! Plus—Marty, your new favorite demon-racoon-thing friend! 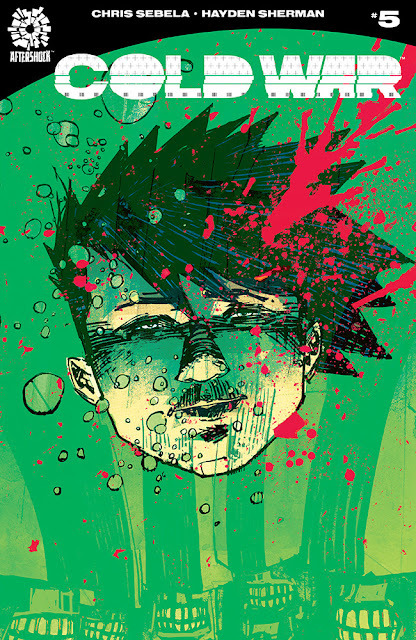 An all-new story arc of the critically-acclaimed series BABYTEETH is here! From Donny Cates, writer of Thanos, Dr. 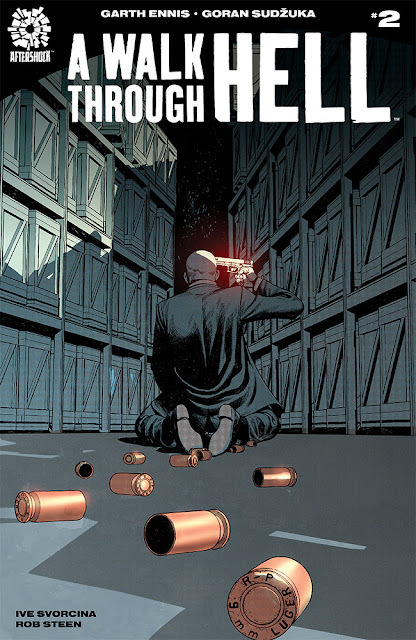 Strange, Buzzkill, Paybacks, Rednecks and the break-out hit God Country, comes a pulse-pounding new series with art from THE REVISIONIST’s Garry Brown! Come and see...a new kind of horror story for modern America. You’re an experienced, confident FBI agent, armed and trained for the worst the world has to offer. You’re on a routine job in a Long Beach warehouse, not long to go before you clock off for the night. So why are you seeing things that just can’t possibly be? Why has your heart stopped beating in your chest? And why are you terrified beyond anything you ever imagined? 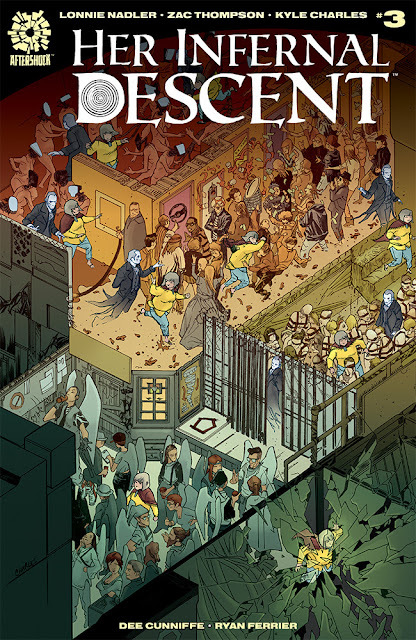 A new kind of horror story for modern America, written by Garth Ennis (Preacher, The Boys, Crossed) and drawn by Goran Sudzuka (Y: The Last Man, Hellblazer) that HAD to be told at AfterShock! At the dusk of the 19th century, a pair of vengeful Victorian vixens discover a horrifying power! Collecting the complete INSEXTS series in one volume! At the dusk of a century, a pair of vengeful Victorian vixens discover a horrifying power that transforms them into rich and strange new creatures. Armed with their dark, evolving forms, they descend into a world of the cultured and occult, with new senses and new sensuality, to forge a life for themselves and the child of their love. This new monthly series is the brainchild of writer Marguerite Bennett (ANIMOSITY, Bombshells and Batwoman) and artist Ariela Kristantina (Wolverines, Deep State), a comic unlike any you’ve seen before! What lies beneath NYC is more than you could ever imagine! Lost cities aren’t just the stuff of myths. They exist hidden right under our noses. 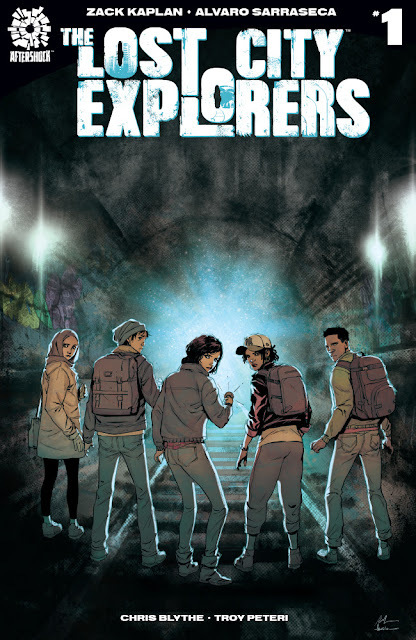 But when a mysterious expedition is disrupted by supernatural activity, and an antiquities professor goes missing, his teenage daughter and her friends must become underground urban explorers, follow his tracks on a coming-of-age journey through subterranean tunnels, and ultimately find the holy grail of lost city: Atlantis buried right under New York City! 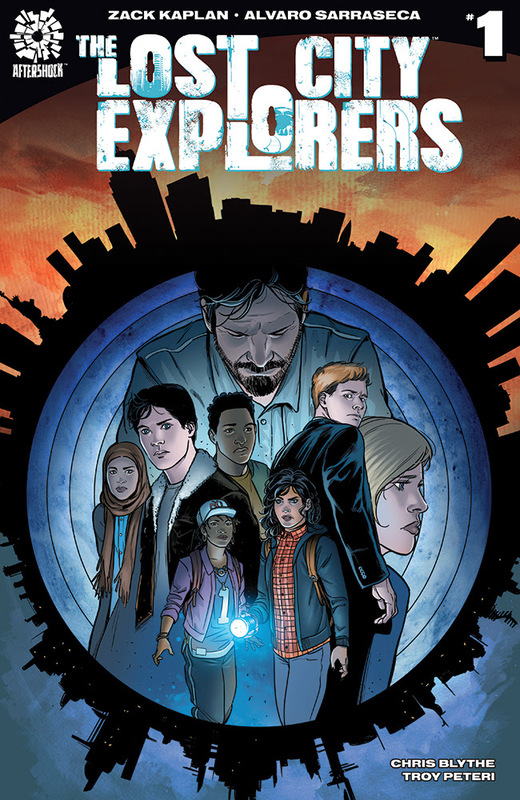 Explore science fiction and archeology in this new adventure series by Zack Kaplan (Eclipse, Port of Earth) and Alvaro Sarraseca (Magnus, Turok). The inspiration of Dracula...is the real story of nightmares. Discover the sorrow-filled truth of Vlad’s descent to the role of the Impaler! Vlad and his brother Radu have excelled in the art of vampire-slaying. But the vampires have a few tricks of their own. Some of those tricks may shatter Vlad's sanity. From writer Cullen Bunn (DARK ARK, UNHOLY GRAIL, X-Men Blue, Deadpool, Venom) and artist Mirko Colak (UNHOLY GRAIL, The Punisher) comes a tale of brothers and blood that HAD to be told at AfterShock Comics! Noah's Ark was but the first. The monstrous creatures of Shrae's Ark have been tasked with protecting Noah and his flock. 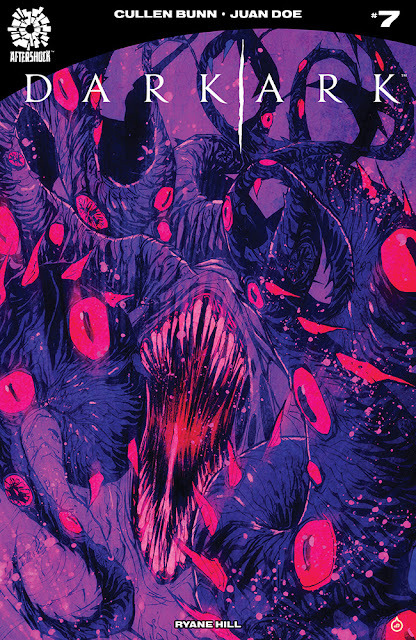 But the shocking nature of the creature that plague's Noah may set the monsters of the Dark Ark at each other's throats! 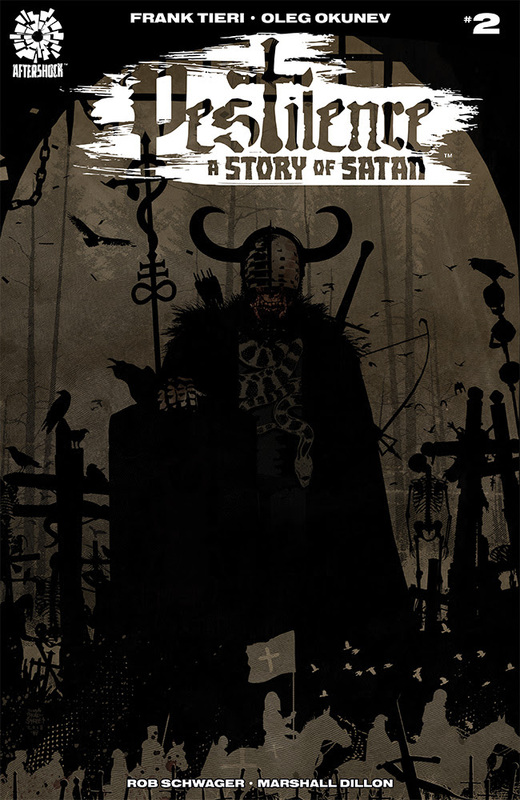 From writer Cullen Bunn (X-Men Blue, Deadpool, Venom) and artist Juan Doe (AMERICAN MONSTER, WORLD READER) comes a sinister tale of biblical proportions that HAD to be told at AfterShock Comics. History is a lie. The zombie apocalypse already happened. 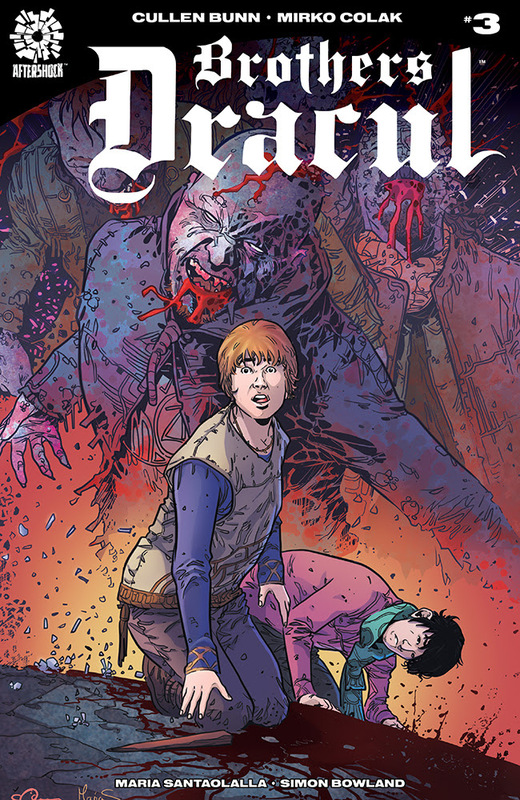 As this newest version of the Black Death begins to rise up and become an even deadlier crisis than before, Roderick Helms and the surviving members of Fiat Lux race to stop it—but can they do so while being hunted themselves...by the NEW Fiat Lux? Written by the master of violence, gore, and mayhem, Frank Tieri (Harley Quinn, Marvel vs Capcom, Wolverine, Deadpool), with spectacular art from illustrator Oleg Okunev, and covers by Eisner Award-nominated artist Tim Bradstreet (The Punisher, Hellblazer)! What mom wouldn't march through the inferno to save her family? Lynn and her favorite writer, AGATHA CHRISTIE, venture into surreal halls of modern art. Welcome to hell's esteemed art gallery! As she descends deeper into the inferno, Lynn's left to wonder if she'll ever find her forsaken family or be doomed to the same fate. Including a surprise appearance by one of the 20th century's most celebrated artists! From the writers of the break-out hit The Dregs and Marvel’s Cable, and the artist of Roche Limit, this is HELL like you’ve never seen before. The animals thought, spoke...and took revenge. From creator/writer Marguerite Bennett (INSEXTS, Bombshells and Batwoman) with artwork by Rafael De Latorre (SUPERZERO). One day, the animals started thinking, talking and taking revenge. Now, they've started building. With one crisis defeated, a new nemesis lurks deep beneath the city, poisoning that which no living thing can live without—water. 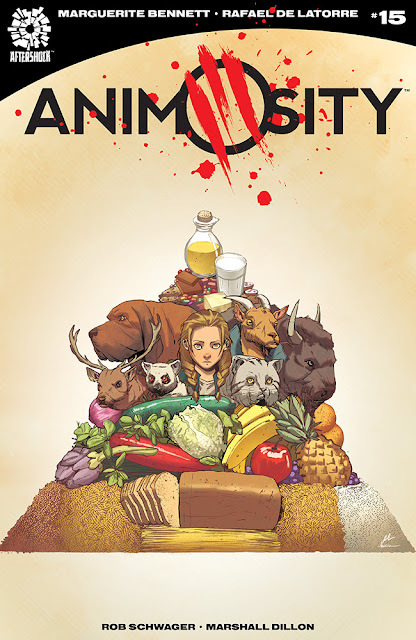 From the brilliant mind of creator/writer Marguerite Bennett (INSEXTS, Bombshells and Batwoman) with artwork by SHIPWRECK’s Eric Gapstur—ANIMOSITY: EVOLUTION is an exciting new series that expands upon this already amazing world! Welcome to the future. Get ready to die. Many of them are dead, the war they’re stuck in is still in full swing, but now the Cryonauts are face to face with the most dangerous situation of all: a 16 year old girl named Polly. As the stakes and body count rise, they’ll fight to stay alive and uncover just who has thrown them into this bloodbath and why. 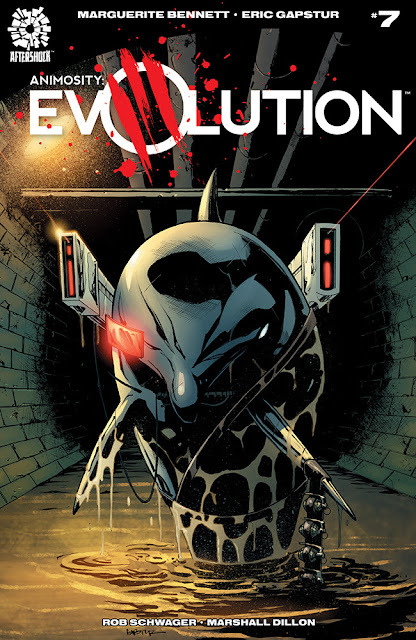 From Chris Sebela, writer of Blue Beetle, Kiss/Vampirella and Evolution, and Hayden Sherman, artist of The Few and John Carter The End, comes the story that HAD to be told at AfterShock! The stunning space opera continues as our heroes land in the great waters of Priam with war on their mind. When a trap is exposed and friends are lost, what will our heroes do to survive? The last issue before the grand finale of the first storyarc exposes more truths and presents more surprises in the exciting world of BETROTHED! 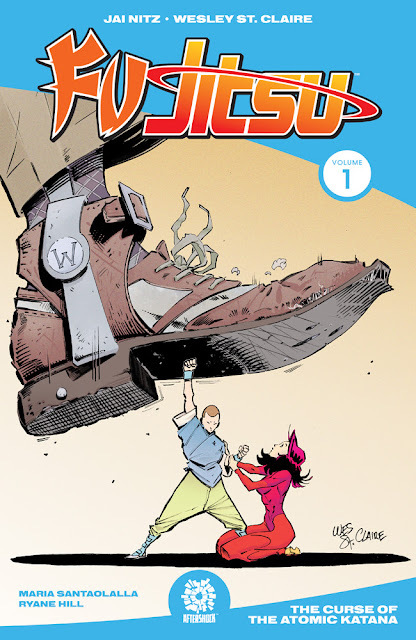 From writer Sean Lewis (The Few) and artist Steve Uy (Uncanny X-Men, Avengers Initiative, Grumpy Cat) comes a sci-fi series with a fun mix of Archie and Saga that HAD to be told at AfterShock! What happens when the fate of the world rests on the shoulders of teen heartache? Collecting the complete second story arc of this hit AfterShock series! 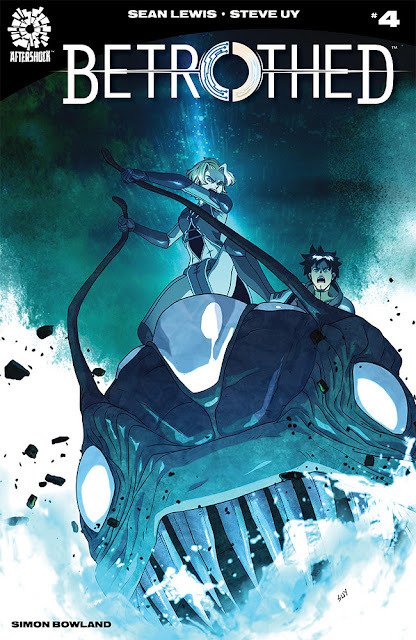 With her nemesis, Matter Man, finally under control, Chalice begins a new chapter of her life as spokeswoman and primary recruiter for the Gateway Army. 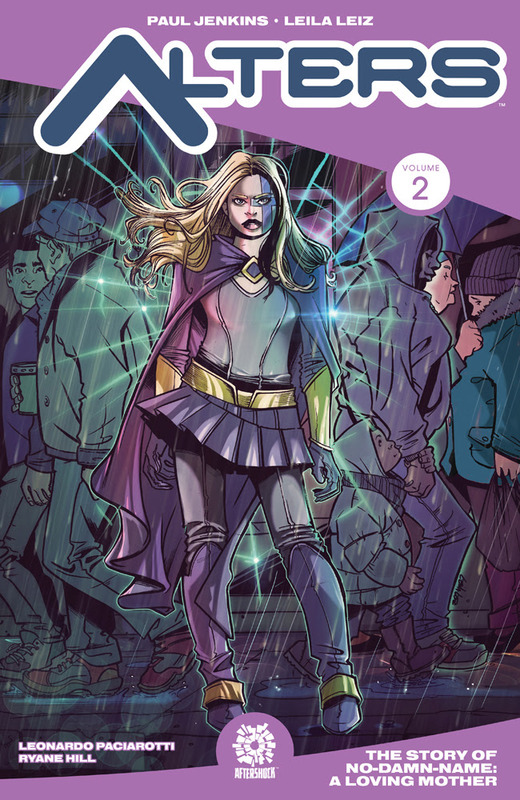 Sensing that time is running out on the safety of the world’s newest Alter, Chalice expands her search. But as she closes in, new complications arise: Chalice finds herself juggling impossible responsibilities to her family, her Alters family, and an impoverished, now-homeless family she barely even knows. As past guilts intensify, she must stand fast against the pressure of her new responsibilities, or be consumed. From Paul Jenkins (Wolverine: Origin, Sentry) and Leila Leiz (NVRLND) comes the groundbreaking series that HAD to be told at AFTERSHOCK. The world's smartest boy is 120 years old...but he's just getting started! Collecting the first five issue of this hit AfterShock series! Fu Jitsu is the world’s smartest boy, and has been for the last hundred years. Wait, what? Fu is an un-aging genius, and has had adventures around the globe and around the galaxy. From Einstein and the Wright brothers, to Gandhi and Johnny Unitas, Fu has met everyone in history while protecting Earth from Robert Wadlow, the world’s tallest man, and his dangerous magi-science. Fu exiles himself to Antarctica to try and forget the painful breakup with his ex-girlfriend, Rachel. Meanwhile, Wadlow returns from the far-flung future and sends James Dean, his ultimate assassin, to kill Fu at the South Pole. And you thought your teenage years were tough? From Jai Nitz, the award-winning writer of El Diablo, Sucide Squad Most Wanted and Dream Thief comes this action-packed new series with art from Teen Titans Annual artist Wesley St. Claire!